There's a lot to like about Chromebooks: they're lightweight, start in seconds, have amazing battery life and of course are dirt cheap. But the platform has problems, too. There's a shortage of quality apps, limited video and audio playback support, various PDF issues, no direct access to network shares, outdated documentation and more. Fans might claim that the Chromebook's advantages outweigh all of these, but current web access stats suggest that's not how others feel. StatCounter's recent 2014 figures show that while Chrome OS market share has climbed dramatically in the past year, even now though it's only 0.44% of US web traffic. Chromebooks may have sold in reasonable numbers, but it doesn't seem that they're being used very much. Why not? 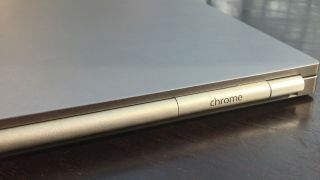 We came up with a list of 10 things Google needs to address to make Chromebooks more appealing. Because until they're fixed, it doesn't matter how fast Chromebooks are - they're not going to take off. Chromebooks have a built-in PDF viewer, and accessing a simple document is no problem at all: just click the link and browse it as normal. What if you need to view an annotated PDF, though? Or annotate one yourself? This is an absolutely essential task for many business and student users, convenient for many others, and no problem for PCs or Macs. But Chromebooks can't handle it at all. Fillable PDF forms are another area which needs work. We could enter values in our test form, but they weren't validated (the form included logic to warn us if we made a mistake, but this wasn't used), and it wasn't possible to save a completed form. Addons like PDFzen were supposed to fix the problem, but they're poor (check PDFzen's reviews). And why should a new user have to go searching for extensions to do something so basic, anyway? This kind of task needs to be supported natively. Reliable native media playback is a must-have for any computer, but the Chromebook still needs work. In our tests, FLV video, AC3 and DTS audio couldn't be played. CR2 RAW files are apparently supported, but we couldn't view ours. MOV and AVI playback was inconsistent, too: some files worked, some didn't. When we did have problems, there was no message to explain why, nothing that offered any help, just a vague mention of an "error" and a link we could click to try again. Which, of course, didn't help at all. This is mostly due to codec issues, although these are difficult to pin down. MTP (Media Transfer Protocol) began life as a Windows Media Player technology, but now it's a common means of transferring files to and from cameras, phones, and Android devices in general. But not the Chromebook, though. And so, as we write, you'll need to transfer the files onto a memory card, or some other roundabout route. Not difficult, but not exactly convenient, either. Still, maybe there's hope. As we were finishing this piece, some Chromium code was checked in to "Mount MTP devices in Chrome OS Files.app", perhaps allowing you to use your phone as an external drive. Sounds promising, but there's still work to do, so we're leaving this as a "must fix" issue.